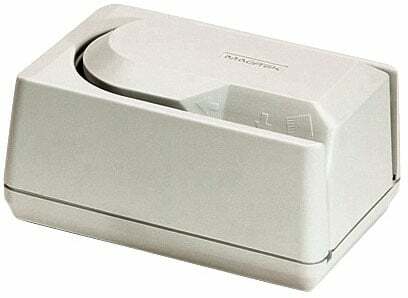 MagTek Mini-MICR Check Reader - USB interface and no MSR. Order cables and power supply separately. See accessories. Color: white. The MagTek Mini-MICR Check Reader reads checks in various formats, come with either a Keyboard wedge (PS/2 or AT) or RS-232 interface, and are available in either white or gray finish. The MagTek 22523001 is also known as Mag-Tek	MAG-22523001	.